Carefully adjusted eyebrows give the woman an elegant look and highlight not only the eyes but also her face. Regardless of the natural growth of your brow hair, or your current brow shape, brow permanent cosmetics tattoo can provide you with the perfect brows you have always wanted. If the hair is missing, a whole new eyebrow will be created. Based on the initial consultation, our certified expert will offer appropriate pigment color and, so the resulting effect is as natural as possible. Microblading eyebrow tatoo treatment duration is around 2 hours and the following colour touch up is about 1 hour. Immediately after treatment, your eyebrows will be darker than you want. Colour will gradually lighten and stabilize in few weeks. Colour correction is available after 4-6 weeks, when skin is fully recovered and we could finally see the look of the colour. How long can I expect my eyebrow tattoo or microblading to last? The pigment used in microblading is semi-permanent and can last between 1.5-3 years. This varies from person to person, depending on following factors: skin type, exfoliants, diet, sun exposure, smoking, genetics and environmental. If you would like your permanent make-up to looks optimal or you would like to make little changes in the shape or colour, we recommend to make a correction in 1 to 2 years after the first treatment. After 2 years, full price for microblading will apply. 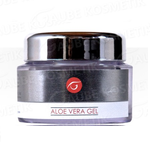 The skin surface generally heals between 3-7 days after the treatment, and 10-14 days below the surface. In most cases our clients are fully back to normal later the same day, and completely recovered within a week. Immediately after your microblading procedure and in the first 10 days, your brows will appear significantly darker and defined than perhaps your desired look. 30-40% of your brows color will fade as the scabs fall off within 7-10 days. Don‘t steep the area and don‘t peel of the skin. 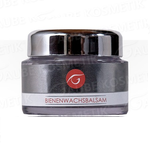 We work exclusively with professional pigments from Austrian brand Gaube, which has the highest European standards for quality of its products. We offer a wide variety of colours (also for light blond types). Please bring your liner or another product for eyebrows, which we could use for choosing the right colour for you.